It may only be early March, but Spring has indeed sprung in the Northwest. While the East, Midwest and even the South have been having a pretty harsh winter, we have, for the most part, been unseasonably warm this year. I don’t really hear anyone complaining, except perhaps ski and snowboard fans, who had a rather limited season this year. Perhaps all those disappointed winter sports fans can console themselves with the realization that barleywine season has arrived. The biggest and boldest beers of the year are here. Get out there and get yourself some. 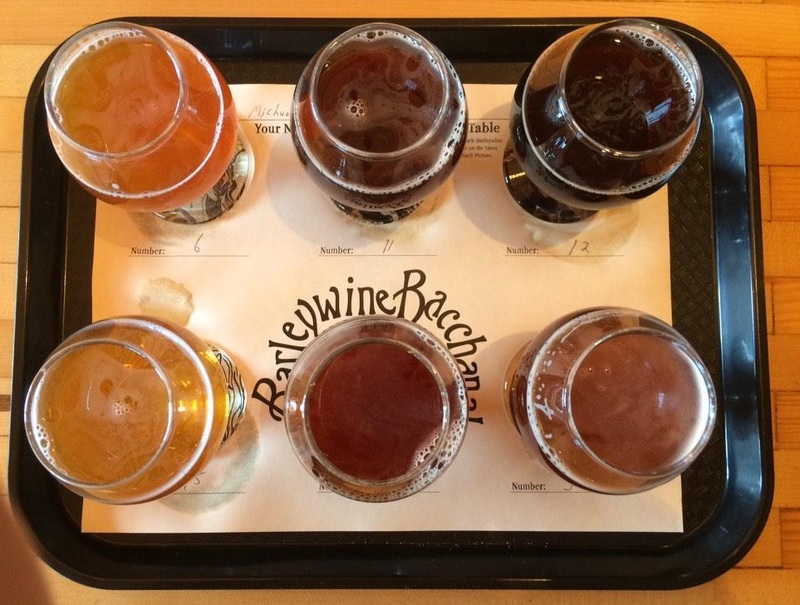 This year’s ‘Barleywine Bacchanal’ (with a rotating selection of at least 30 barleywines on tap each day) has already been going at Beveridge Place Pub since this past Saturday, February 28th and will continue through this coming Saturday, March 7th. 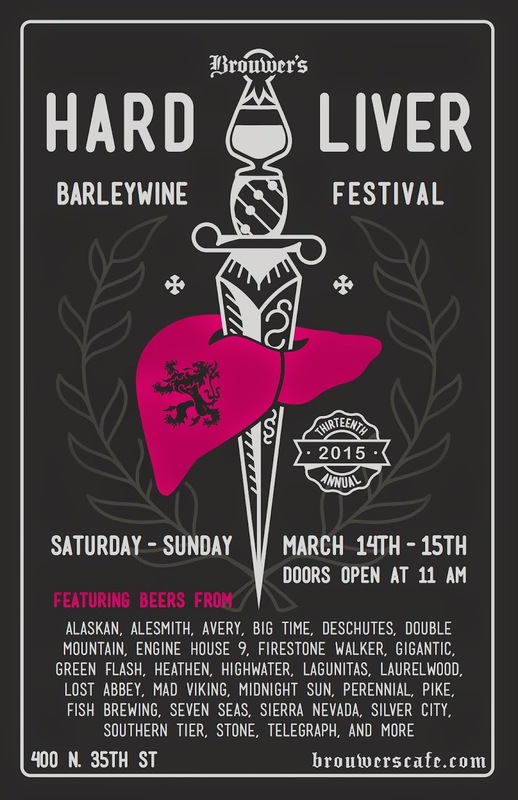 Also, coming up late next week is the 13th annual Hard Liver Barleywine Festival at Brouwer’s Cafe. For our 10th year of pouring pints and snifters to the beer lovers of Seattle and abroad we’ll have two beers to celebrate with. We teamed up with Reuben’s Brews’ Adam Robbings to create a hop-bomb of a beer that would be worthy of such a big milestone in our history. At the young age of 2 years old, Reuben’s has easily become one of our favorite breweries in town, as well as one of our friends. We’ve been happy to host their staff and patrons for both their 1st and 2nd anniversaries, and we’re honored to have them brewing our 10th anniversary beer. 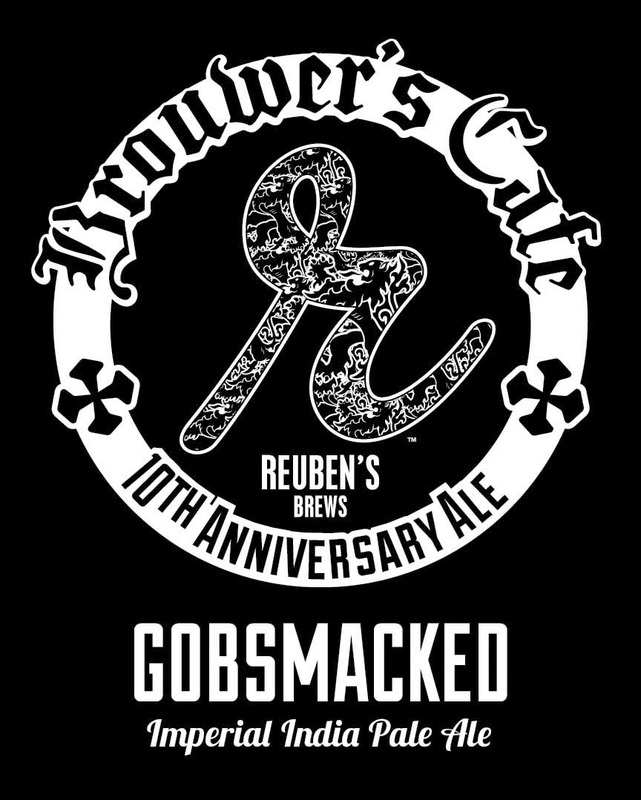 Our 10th anniversary beer is a 10% imperial IPA that we have named Gobsmacked and will be available in a very limited number of bottles, as well as on draft. For Bottleworks’ 10th anniversary we worked with the one and only New Belgium Brewing in Fort Collins, Colorado. We thought it would be fun to Blend a Brouwer’s 10 as well, and we headed down hang out and blend a beer in early December. Eric and Lauren were kind enough to open up the wood cellar at New Belgium and we had an amazing day. We tasted somewhere in the neighborhood of 20 different fouders and came up with a beer that we are very happy with. New Belgium’s contribution will be a draft only affair, and we’ll be pouring it like it’s hot at our anniversary party. We will also be digging in to the cellar and pulling out some past anniversary beers. Mark your calendar now and be sure to get down to Brouwer’s to help them celebrate on March 28th and 29th. You don’t want to miss tasting these special anniversary brews. I’m sure Brouwer’s will be pulling a few gems out of their cellar as well to mark the occasion. Our Hardliver Barleywine Festival, which had its first few years at the Phinney Ridge Neighboorhood Center will be back for its 13th consecutive year. There you have it. The Hard Liver Barleywine Festival is actually older than Brouwer’s itself. I never attended the first few years at the Phinney Ridge Neighborhood Center, but I attend the festival at Brouwer’s nearly every year. 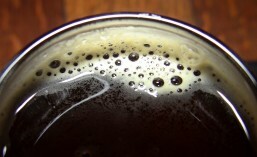 With over 45 barleywines on tap, it can be a daunting challenge. I don’t suggest attempting to try them all unless you’ve managed a successful liver transplant from Superman. Whether you attend the 13th Annual Hard Liver Barleywine Festival, the 10th Anniversary celebration or both, I’d like to offer just one small piece of advice. Pace yourself; and be sure to fill up on some of Brouwer’s delicious food so you aren’t doing all that drinking on an empty stomach. This entry was posted in Anniversary, Barleywine, Beer, Collaboration, Events, Festivals, Food, Fremont, Hard Liver, Phinney, Seasonals, Seattle, Spring, Washington, Winter and tagged 2015, Anniversary, beer, brouwers cafe, events, festivals, Fremont, March, seasonal, seattle. Bookmark the permalink.